Can you battle swollen gums with super foods? Have you even thought about it? Here’s my professional opinion based on science and 41 years of experience treating gum disease. Swollen gums are frequently a result of some irritant (like dental plaque or tartar) in and around the gum tissue. These irritants need to be removed. But is that all there is? No! More importantly, swollen gums are a result of (1) eating an abundance of bad stuff like processed foods, unhealthy fats, and refined sugars and (2) not eating necessary nutrients. Here is a paper that suggests some of the science behind this. It was published in 2009, and the results surprised the investigators. Before the experiment began, the mouths of 10 participants were examined for various signs of gum disease. These individuals then were placed in a primal environment in Switzerland where they had to gather and fish for their own food for 30 days. To start, they only were given some basic, raw foods. They had no processed foods, no unhealthy fats, and no refined sugars to eat. In addition, during the 30-day experiment, these individuals were not allowed to brush or floss their teeth. The amount of bacteria around the gum margins was significantly increased. The infectious-types of bacteria actually decreased. The participants had healthier gum tissues than they had before the 30-day experiment. Even though those in the study could not brush or floss for 30 days, they all had less gum infection after the experiment. How could that be? The answers lie in the healthy changes in the gut and the mouth as a result of the primal foods these 10 people ate for 30 days. These foods were Super Foods . My interpretation of super foods is straightforward. I am all about (1) eating what makes our individual cells and overall bodies healthy and (2) removing whatever makes our bodies unhealthy. Our mouths are the happy recipients of this healthy lifestyle. We have 10 trillion human cells that make us who we are, but we have 100 trillion bacterial cells that live within us! Each human and bacterial cell needs its nourishment. Each cell affects every other cell in some way. Therefore, I view super foods as those that are nutrient-dense and anti-inflammatory for each cell. If you took care of your car’s engine, your car would run more smoothly; if you took care of your body’s engine, your body would be healthier. Give your body what it needs, and your mouth will benefit also. 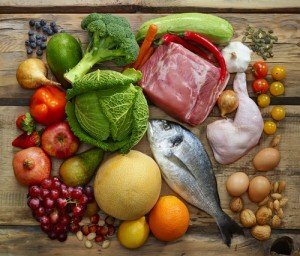 So what are the super foods? These are the foods with high levels of nutrients per calorie of food. These are the foods that are grown with no chemical additives that could leach into the food and damage the powerful nutrients contained within. These are the foods that have NOT been genetically altered to create something that our body cannot recognize or use effectively. These foods give you the greatest bang for your buck. Super foods are the pastured and wild caught animals including their organs and healthy fats. Super foods are the organically grown fruits, vegetables, nuts and seeds. Super foods are NOT the processed foods, unhealthy fats (like commercially prepared vegetable oils or man-made trans fats), or refined sugar products that are abundantly available in the average grocery store. Super foods are those that make up a Paleo lifestyle. My recommendation: Consume a Paleo Diet, and you will consume super foods. These foods are the nutrient-dense, anti-inflammatory nourishment that will help keep you healthy and help keep you from having swollen gums and gum disease. Super foods will battle swollen gums.